What's The Best Pet For A Road Trip? Most of us travel with our pets out of necessity, not choice, but this doesn't mean the company of a four-legged friend isn't welcome. 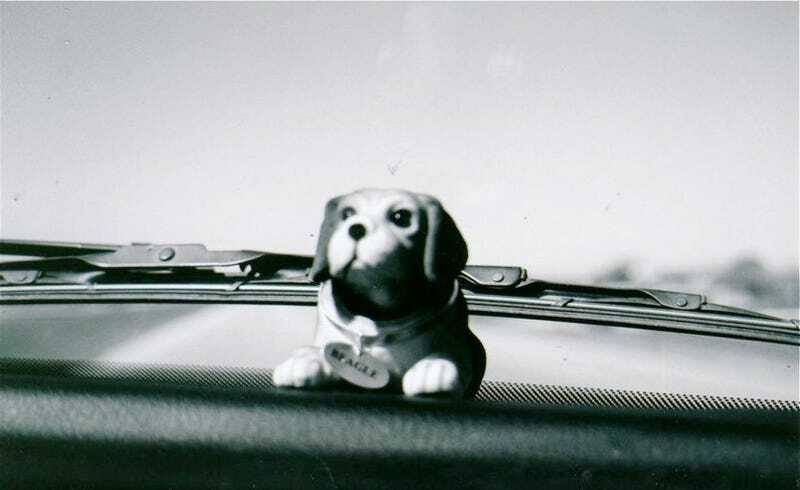 What's the best pet for a road trip? Last summer we loaded up our significant other's Honda and pointed it towards the Lone Star State, with our cat in tow. Being a shelter cat, we weren't quite sure if Willie, short for William Jefferson Kitten, had any experience with long drives. This is why we made sure to get some kitty downers from the vet. Despite the good meds, Willie was "talkative" for much of the first hour of the trip, making a racket in the backseat and complicating the headache we had from the serious lack of sleep we were contending with. Once outside the city we pulled over to a rest area for some much needed rest and relief. Wanting somewhere to sleep, we moved the cage to the front passenger seat and fell asleep leaning on it. A few minutes, and a Cherry Pepsi later, we hit the road again with Willie comfortably ensconced below a pillow on the front seat. Apparently, he prefers to sit facing sideways in the car. The brilliant stroke, though, came when we turned on the audiotape of Team of Rivals. Apparently, Doris Kearns Goodwin's pop-history style combined with the narration of John Boy from The Waltons is the key to taming the beast. The 16 hours of audio got us almost the entire way home and felt appropriate given we were traversing Illinois lengthwise. Still, all the work needed to make the trip work reminded us maybe a cat isn't the best road trip companion. At least not our cat.